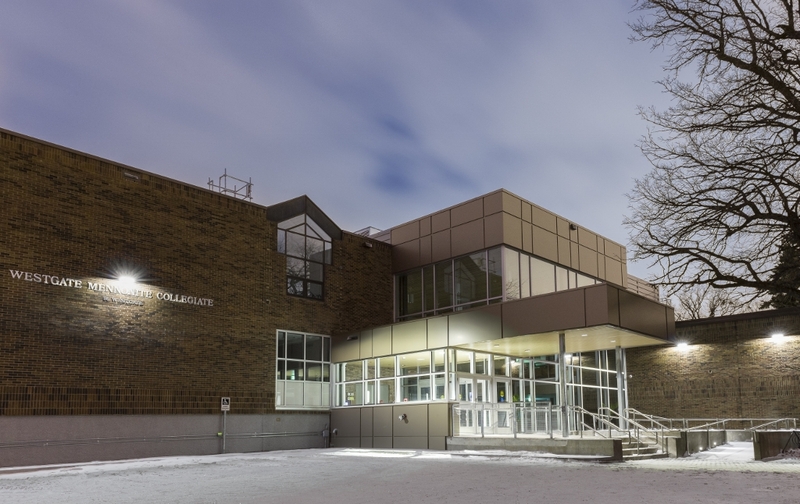 Westgate Mennonite Collegiate is a Christian school grounded in the Anabaptist tradition. It is the mission of the school to provide a well-rounded education, which will inspire and empower students to live as people of God. As a Christian educational community within the Anabaptist Mennonite tradition, Westgate Mennonite Collegiate integrates sound academic learning with growth in character and faith, together with peacemaking and service to God and all creation. Westgate seeks to provide a quality academic education in the context of a faith community, upheld and undergirded by our Christian values. We are convinced that learning, at its best, occurs when academics are bound together with faith and positive relationships. This is the vision that has nurtured Westgate for close to 60 years. enable students to achieve excellence in academic studies by providing wide opportunities for study and work. nurture spiritual growth and stewardship through study and questioning within our Christian Studies courses, weekly chapels and Spiritual Emphasis week. provide creative opportunities in academic programs, music, student leadership, athletics, the arts, outdoor education, exchange and service programs. create an environment in which students can grow and be exposed to their world and to prepare students for congregational involvement, Christian service and involvement in the wider world. We recognize the importance of the continued support of families and our Mennonite churches in Winnipeg in this endeavour.